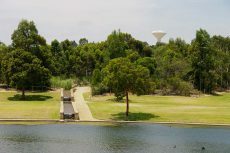 Blue Lake Park is a mid-size local reserve containing a circular water feature surrounded by grassy avenues branching out through wedges of remnant bushland. 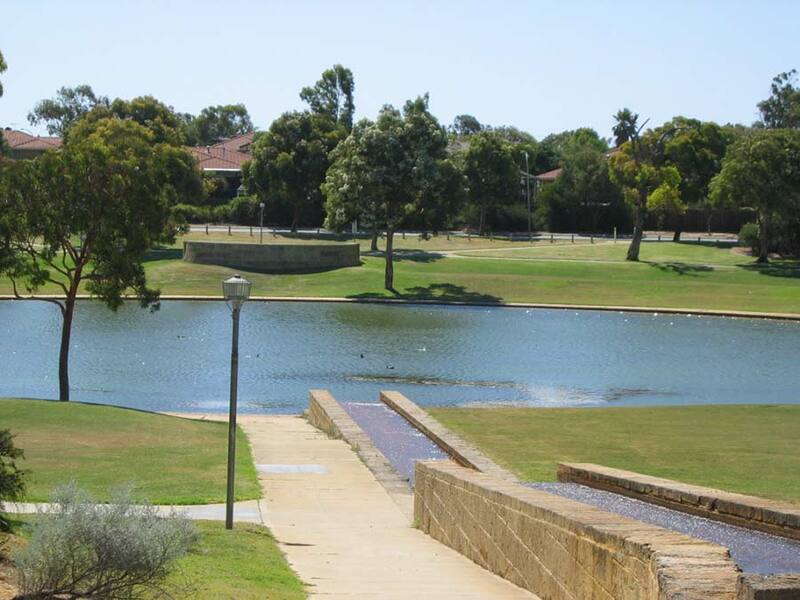 This reserve is well maintained and one of the nicest places for a ceremony in the City of Joondalup. A limestone tiered water feature with miniature waterfalls circulates water into the lake. There are some picnic tables shelters, but too small to be any use for a ceremony. 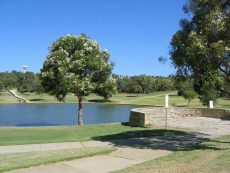 If you would like to enquire about the availability of this reserve for a wedding complete the Online Request Form from the City of Joondalup.